Chase'n Our Dreams: District 10 Principal of the Year! 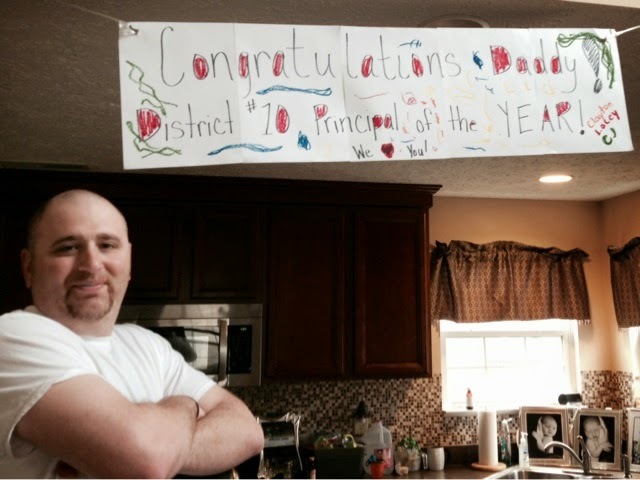 Congratulations to my wonderful husband on being voted as Indiana's District 10 Principal of the year!! After the toughest year in our personal life, it sure humbling to receive this in his professional career. It proves that not only is he an amazing principal, but he is privileged to have an outstanding staff of people whom love their job and the students they come in contact with on a daily basis. Congratulations Daddy!! Your trio of kids and wife couldn't be more proud of you!